Although WordPress offers plenty of plugins for search engine optimization, but the question counts at a place that among those huge list which one is the best. There are plugins which are meant for different purposes – whether just only setting up basic on-page optimization or something more – but the one which grouped together all features at one makes a perfect choice and this is on what we planned to review today. 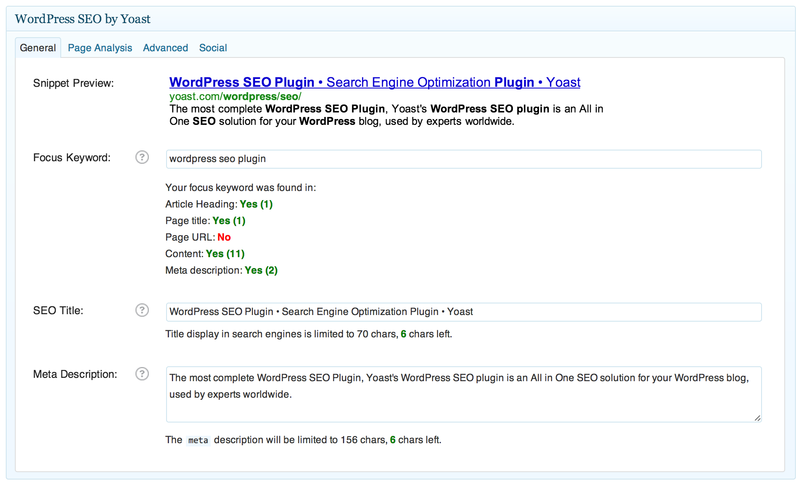 The plugin name WordPress SEO by Yoast. This is the most complete WordPress SEO plugin which one ever noticed and experienced with it. It includes everything ranging from snippet preview to page analysis as well as advanced settings, like canonical URLs, indexations and redirects. In short the plugin comes as a complete package for one who wants to have their site or blog SEO better and over the top it comes totally free of cost. Post titles and meta descriptions – The feature will allow you to set titles and meta descriptions for a post, page, homepage, attachment and taxonomies and special pages. Also, if in case you have no idea how to do that it gives you a hand, allowing to Force rewrite titles. Breadcrumbs – The feature is good for both navigation and SEO. It let you change the taxonomy of your breadcrumbs titles, for individual post or pages. Permalink clean up: The feature will allows you to optimize your permalinks. All you have to take care that the links will back onto specific pages on your site use the permalink that you want. XML Sitemaps – The sitemaps allows webmasters to inform search engines about pages on their sites that are available for crawling. The feature also allows you to keep certain taxonomies listed out of your sitemap and uses an XLST stylesheet. RSS – The feature will automatically add content to the RSS. Import and Export – The feature will allow you to duplicate on other sites what you have accomplished. Titles Settings – You can set the default Page or Posts titles. Each new page or post gives the search engines fresh content. Indexations – You can set which section of the site to be indexed by the search engine and which not. Social – Adds Facebook OpenGraph meta data. 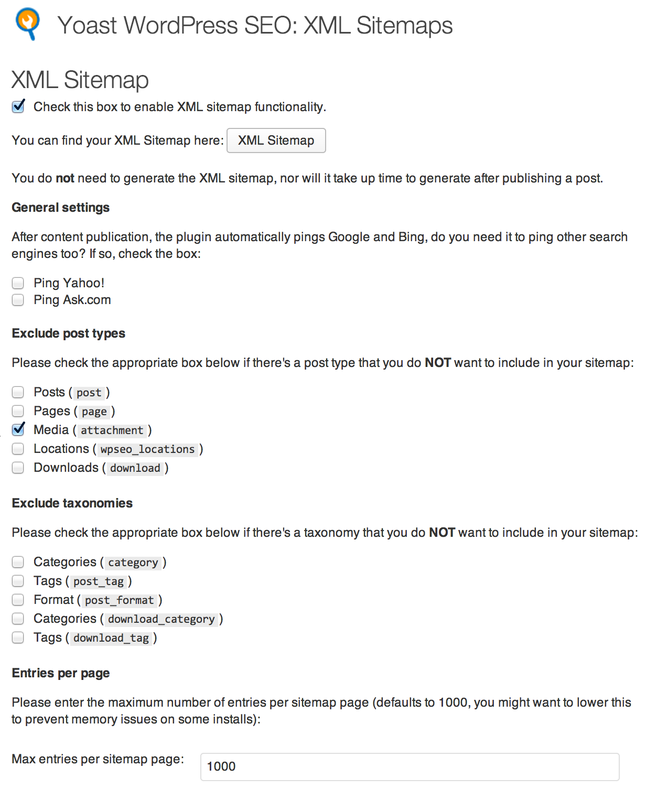 XML Sitemap – On enabling this, you need not to submit a regular sitemap to Google or Bing every time you change your content or add new pages/posts, it automatically pings Google, Yahoo or Ask. Links and Permalink – This allows you to set the permalinks and the URLs. RSS – Automatically add content to your RSS. The plugin is the best choice if one thinks for SEO. It gives site’s admin a lot of control over their site`s SEO architecture. Not only this, but it will let you control XML Sitemap, canonical, permalink and indexation controls. Overall, SEO by Yoast is not for everyone but in actual it is for the one who is having some SEO knowledge at least.